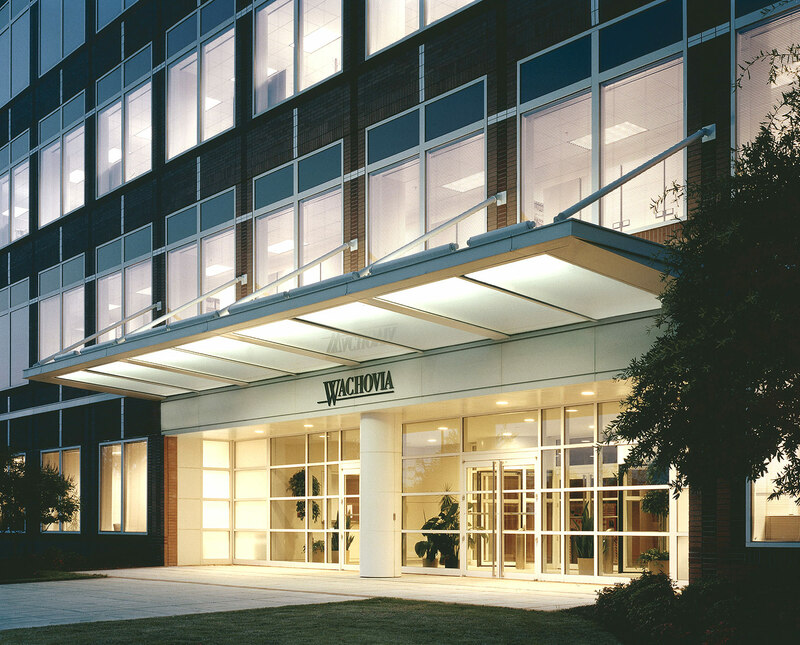 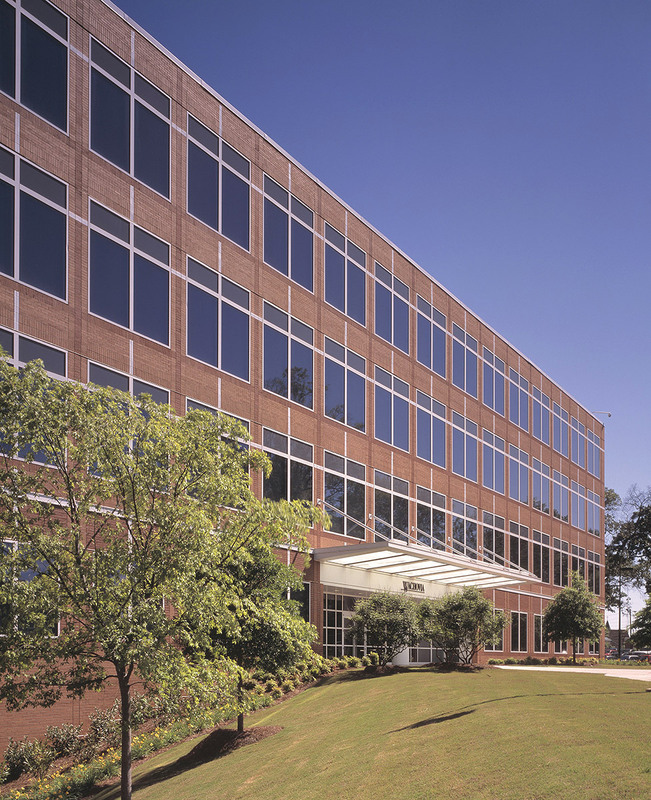 After completing two buildings for Wachovia at their headquarters in Winston-Salem, North Carolina, Kendall/Heaton Associates was commissioned to provide services for this regional office for Wachovia in suburban Atlanta, Georgia. 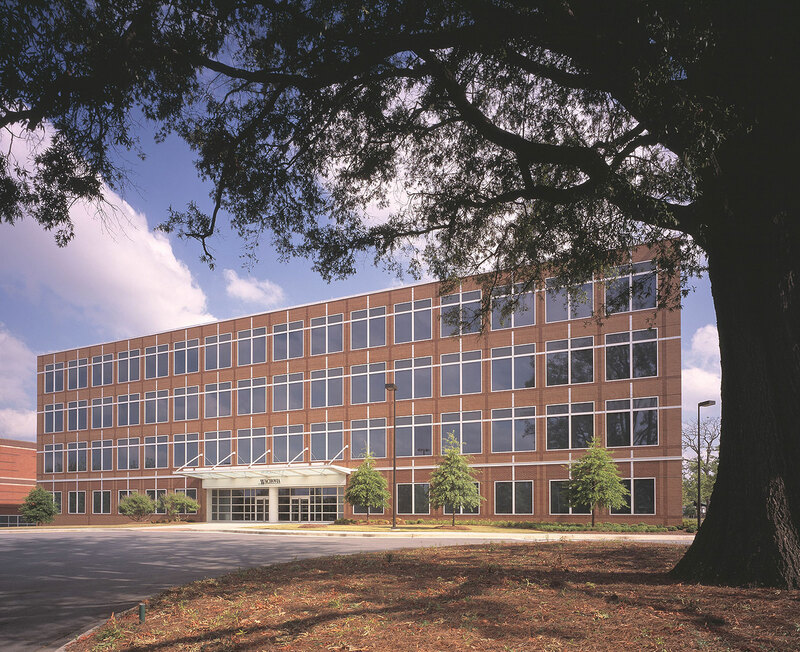 A grid of crisp white window framing overlaid on a taut red brick enclosure creates a distinctive visual texture that adds an interesting complexity to the composition of the building’s otherwise simple massing. 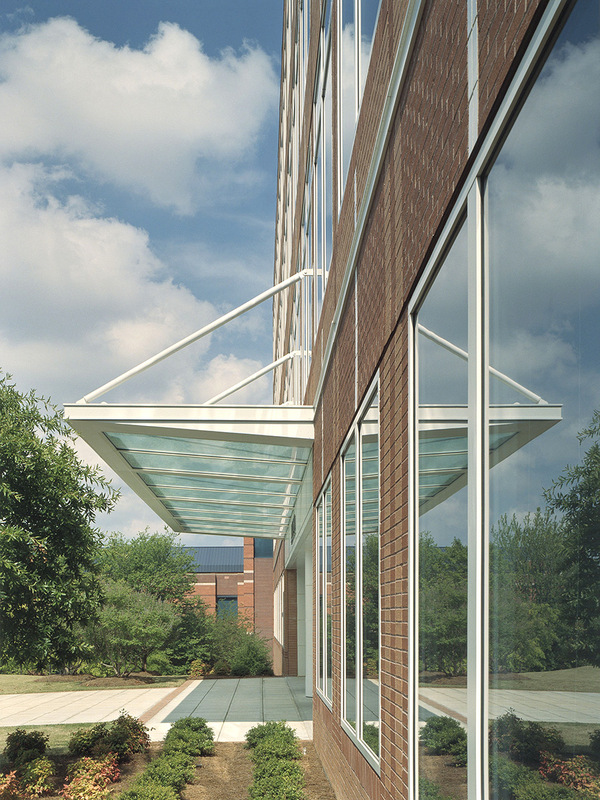 A finely detailed cantilevered glass and metal canopy marks the building entry that leads to the handsomely appointed building lobby with patterned marble floors and wood paneled walls.